Topping elaborate domino setups has always been a popular way to get into the record books, especially as more and more crazy stunts became part of the "sport". In the late 80's Pressman introduced Domino Rally, a somewhat simplified toy version of toppling dominoes, and including lots of goofy stunts that would otherwise be hard for a kid to try to achieve. The kits shared an aspect of Lego - the more sets you bought, the larger and more elaborate your creations could be. Pressman would update the line from time to time with themed sets, and the Ghost Ride with glow in the dark pieces was my favorite. With lots of playfully macabre stunts, there was always something spooky going on. Unfortunately, Domino Rally pieces were more of a challenge to work with than traditional dominoes. They were much smaller and hollow. Add to this that there was frequently a molding seam around the thin edge making standing one up a delicate exercise. They remedied this somewhat by including some dominoes that were permanently attached to short lengths of track (a great idea, especially for difficult to manage curves), but it was even easier to accidentally spoil all your work thanks to the unstable nature of Domino Rally pieces. It's still worth it to power through the frustration and build a course - especially if you have a video camera or three. I was lucky enough to find a well-shot video on YouTube featuring the Ghost Ride set. It reminds me that I have several of these sets I've collected over the years. Sounds like it's time to clear off the kitchen table and have some slightly morbid toppling fun. Is it just me, or does everyone love the sound dominoes make as they whir to the ground? The Atocha Design Record Cabinet organizes your irreplaceable collection of vintage LPs in a series of soft-touch gliding drawers. 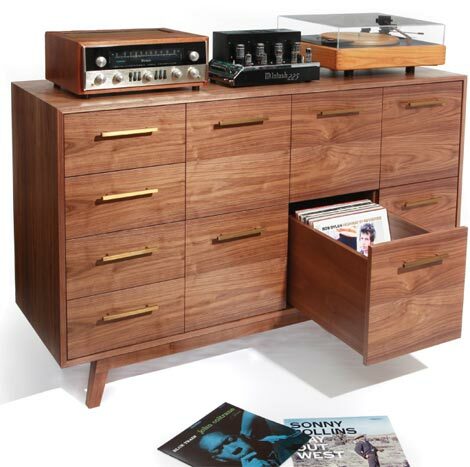 Each drawer holds approximately 95 records with enough room to browse in style. The basic configuration includes 8 LP drawers, but it's also available with compact drawers to accommodate 7-inch singles and CDs or DVDs. Each cabinet is hand crafted in the USA by a master cabinetmaker, so purchasers can choose from American Maple, American Oak, American Walnut or Bamboo finishes in a variety of stains. The distinctive solid brass drawer pulls are custom made in the USA, too. 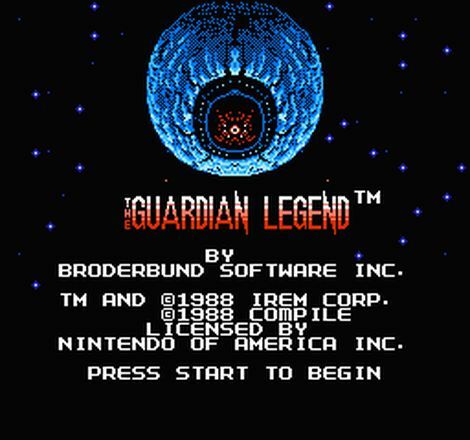 The Guardian Legend ("Guardic Gaiden" in Japan) was actually developed by Compile but produced by Irem and is a hybrid shmup/adventure game. The story revolves around a heroine similar to Samus from Metroid who is sent to a gigantic space station set to destroy Earth. Our heroine has a suit with the amazing ability to actually become a space ship. Toy giant Mattel has had a tough time of it lately. A 90's buying binge put companies like Fisher Price & Matchbox Cars in the same toybox, but recent years haven't been as good to the toy giant. A widely publicized health risk lead to a recall across many toy lines, and this year even Mattel's core brands are having difficulties. Barbie has always been a reliable property for Mattel, but when they offer up toys like Tanner the Pooping Dog, then it's not hard to see why the company is in trouble. Tanner was quickly muzzled, but not before commercials offering the pooping pooch hit airwaves. Barbie has always been proffered as a way for young girls to role-play about a future (through unrealistically glamorous) adult life, but should that really include scooping doo outside the Malibu Beach house? 1960's doll-sized "Welcome Back Kit"
I didn't get a Game Boy until the late 90's, and even then it was the big grey brick. I'd seen them everywhere of course as portable gaming equaled the ubiquity of portable music (Walkman, Game Boy... get it?). So while my friends were playing their snazzy color games, I was still slumming it with the big grey monster. One of the reasons I got into Game Boy was the emerging chipmusic scene that used the classic unit. It brings the bass like no other, and if you've ever been to a chipmusic live show, the analog that the grey lady can put out is bowel rattling. 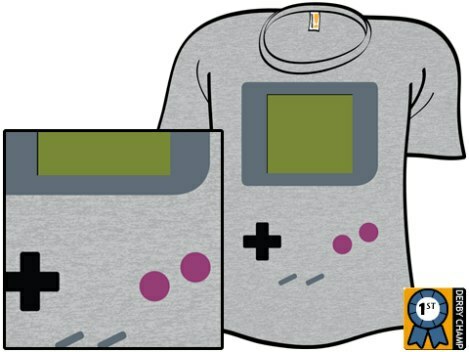 Woot.com put out a T-shirt tribute to the look & feel of the classic Game Boy as part of their daily shirt specials. It was such a hit, you can still get it for a limited time. 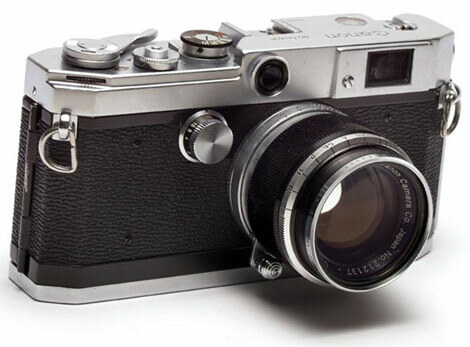 The Canon L1 hit the market in the spring of 1957. This elegant 35mm rangefinder accepted removable Leica screw-mount lenses and offered automatic viewfinder parallax compensation. Some collectors argue that this was just another Leica copy, but you have to admit that it was a very sleek and sophisticated rendition. It would be hard to imagine a modern SLR without a swing-out film door, but the L1 was only the second Canon (after 1956's VT) to offer such convenience. Previous models required the film to be loaded through the bottom of the case. The L1 also offered a convenient top-mounted film advance lever, somewhat of a rarity back then. While early production models used a cloth curtain shutter, it was later replaced with a thin stainless steel curtain to prevent pinhole burns in direct sunlight. The L1 was priced at 87,000 Yen (US $242) with a 50mm f/1.2 Canon lens. Don't expect to find dozens of them on eBay since only around 8,000 were produced. Most were black and chrome, but approximately 200 all-black variants were manufactured. The black L1 is incredibly rare, which is unfortunate because it looks strikingly modern. Oddly enough, Canon recycled the name in 1991 for the Canon L1 Hi8 camcorder - the world's first consumer camcorder with interchangeable lenses. Adventures of Lolo actually has its roots in the Eggerland series, which debuted to Japan as Eggerland Mystery for MSX computer systems. It wasn't until after 2 MSX, 2 Famicom Disk System and one Famicom Eggerland games that we (at least in America) finally got Adventures of Lolo, which is a compilation of levels from previous Eggerland games with some originals. 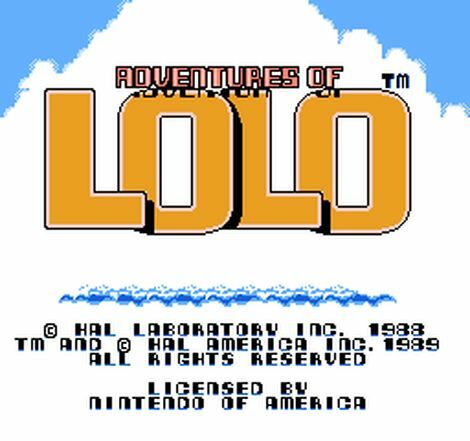 After that, we english speakers got most of the Lolo love that developer HAL was willing to give. 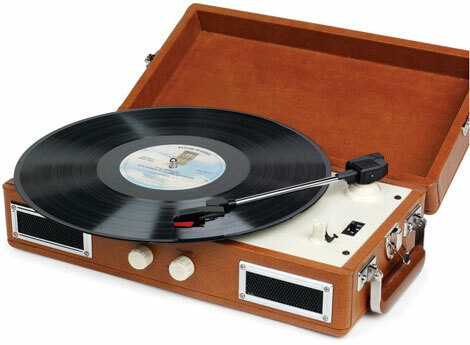 Hammacher Schlemmer bills this little record player as "the smallest portable turntable available." 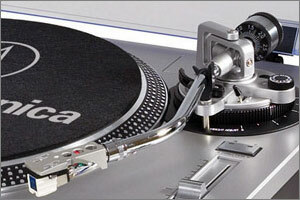 That's probably true, but both Numark and Vestax make excellent compact portables that are only a smidgen larger. And they include important features like headphone jacks and the ability to run on batteries. Still, this $99.95 turntable could be just the ticket for those in search of vintage styling in a compact package. It can play 33 1/3, 45 and 78 RPM LPs. Unfortunately, the tiny "full-range" 5-watt speakers probably don't offer stellar sound quality. Forty-three years after launching the Super 8 home movie format, Kodak has quietly released Vision3 500T color negative film in Super 8 cartridges. Vision3 is Kodak's newest line of professional motion picture film. Unlike the old Kodachrome and Ektachrome home movie films, Vision3 500T is a state of the art tungsten light balanced film intended for digital transfer rather than projection. Vision3 500T is a replacement for Kodak's popular Vision2 series. It incorporates Advanced Dye Layering Technology (DLT) to reduce shadow grain and provide higher signal-to-noise ratios when scanning low light scenes. The new film retains the overall look and image structure of its predecessor while offering extended highlight latitude, offering as much as two f-stops of highlight detail to avoid blown-out details. 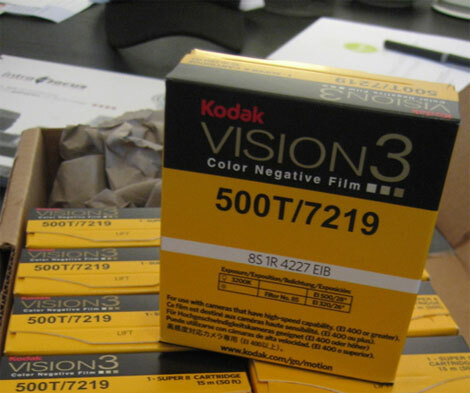 By adding Vision3 500T to their lineup, Kodak continues their recent trend of positioning Super 8 film as the "gateway drug" for aspiring young filmmakers. Of course, Super 8 also serves as a mainstay for professionals seeking the unique look of 8mm film in modern productions. I admit to being an incurable retro junkie. With that in mind, it’s worth making Super 8 part of your digital image arsenal. Even though few Super 8 cameras have been manufactured since the early 1980s, Kodak still offers a solid lineup of color and black & white film for as little as $10.59 per 50 foot cartridge (which lasts 2 minutes and 30 seconds). Once you start shooting motion picture film, there’s no turning back — there’s something addictive about the sight of genuine film grain and the way film responds to light. Cameras are inexpensive and plentiful on eBay. You should expect to pay under $100 for a well-equipped device that can shoot at a “professional” speed of 24 frames per second and offers useful options such as slow-motion and timelapse. In fact, the ability to shoot film at a variety of speeds is one of its strongest benefits. Once you’ve captured images on film, there’s no need to haul out a clunky old projector. Many companies offer pro-quality film to video transfers, starting at around $20 per reel. You can even purchase excellent video transfer equipment for under $1400. Once your film has been copied to miniDV tape you can manipulate it using all of your favorite video editing software. The Mellotron is a justly famous keyboard. 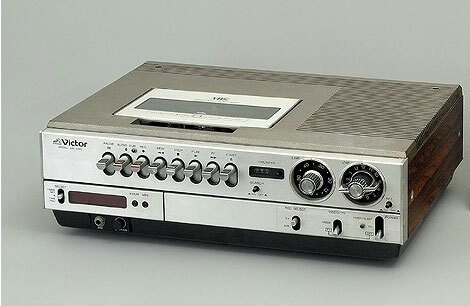 It's one of the earliest to play samplings of other instruments (via tape loops). Famously used by the Beatles and many other artists of the 60's, it was an expensive and delicate piece of machinery. Each note of the recorded instrument was a separate loop of tape within the Mellotron, making changing instrument sounds an intricate affair. It also kept the Mellotron out of the hands of consumers. Electronic home organs had their limits, and were quite expensive. The electronic revolution that would bring us cheap multi-timbral keyboards was years away. In 1970, the Optigan filled the gap. Developed by engineers at Mattel (yep, Mattel had an organ division), the keyboard uses acetate discs as a sound source. Each disc has concentric rings of optical tracks, much like the soundtrack on a strip of movie film. Swapping the discs gives your Optigan new organ sounds, and new rhythms and sound effects. For me, that's where the Optigan shines. Instead of the accompaniments being the typical electronic boom-boom-chick organ rhythms, the discs have recordings of actual bands. It's a very low-fi & finicky system, an important part of the instrument's charm. There's a band called Optiganally Yours that use Optigans exclusively (their pair of albums are among my favorite music ever). Pea Hicks of the group has become the steward of all things Optigan, and he and his co-conspirators have recently figured how to make new Optigan discs – the first in more than 30 years. 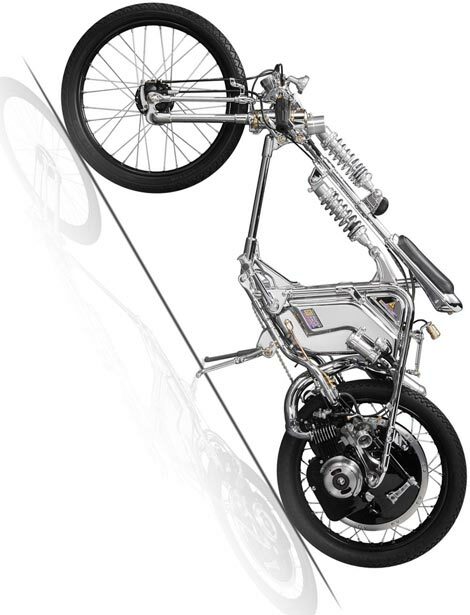 They're not available for sale yet, but check out the video of the prototype in action. I've finally got to find an Optigan for myself – especially if Pea is going to publish more of these Vince Clark sounding discs! Mameroom Designs in Cincinnati, Ohio makes an impressive line of arcade cabinets, ranging from massive standup MAME cabs down to incredibly compact bartop units. 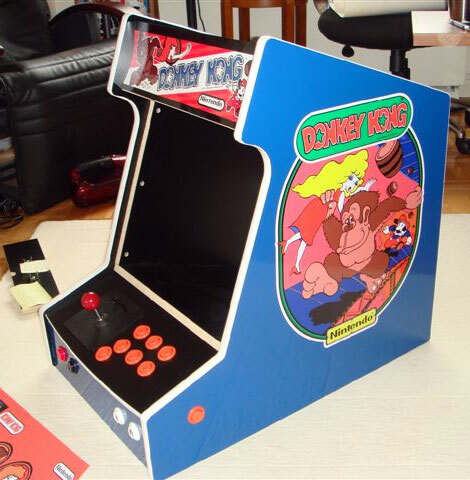 Their Ultimate Arcade Bartop Kit (above) sells for $149.99. It includes professionally milled panels that are pre-drilled and ready for assembly without requiring power tools. All of the necessary assembly hardware is included, eliminating the need for expensive hardware store visits. This little arcade console has room for a 15" CRT monitor and includes a removable rear panel, clear marquee plastic and a tinted monitor cover. You'll have to add your own panel art, control buttons, and electronics to bring this little beast to life. It looks like the perfect home for my $150 MAME Brain project, although their $249.99 head-to-head cocktail unit looks great, too. Roguelikes tend to be turn-based both because of their origin and usual emphasis on deep strategic gameplay. 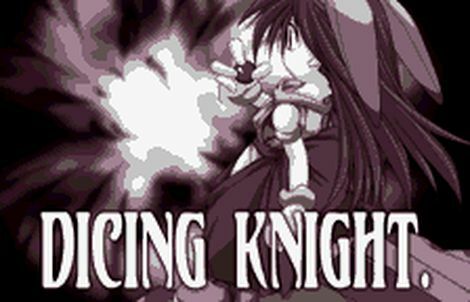 Dicing Knight Period is a realtime roguelike. The gameplay differences are pretty obvious, as they are similar to the differences between a turn based strategy game and a realtime strategy game. The developers could have easily made this game turnbased without changing much but their decision to go realtime makes for a refreshing (albeit not entirely necessary) change in the genre. When television hit big, variety show producers plundered the vaudeville stages for unusual and visual acts for the small screen. Many of these acts were finely honed after many years and countless performances, but after one appearance on television before millions their real-life audiences dwindled. Most that couldn't adapt or update their material disappeared forever. Then there are those acts that one can see a hundred times and still find delight. One such performer is the Banana Man. He could produce innumerable objects from his pockets, all while accompanied by his odd falsetto humming. You may remember him from his appearances on the children's show "Captain Kangaroo", and the piles and piles of bananas he left behind. The black and white clip at the top of this article is from a 1934 film short. Somehow the vigor of youth makes the Banana Man's routine even more manic and odd. Then make sure to check out this performance in color from more than 30 years later. The routine is mostly the same with a slightly less frantic pace, but with some great new additions.